The much-anticipated talks between Vladimir Putin and Donald Trump are set for July 16 in Helsinki, Finland, the Kremlin and White House confirmed. This will be the pair’s first meeting held outside of multilateral summits. Putin will meet with his US counterpart in the Nordic nation on July 16th, the Kremlin confirmed. “According to the arrangement reached [with the US side], Putin and Trump will meet in Helsinki on July 16,” the Kremlin said in a statement on Thursday. It said discussions on the “current state of US-Russia ties” as well as “relevant international issues” will be on the meeting’s agenda. Previously, the Russian president’s adviser Yury Ushakov said the one-on-one is likely to last “for a few hours,” adding that a working breakfast and other protocol events are also scheduled. The adviser called the sit-down “the main international event of this summer,” given its importance for the two powers and the global community. “A full range of issues” will be discussed by the pair when they finally get together, including arms control, alleged Russian meddling in the 2016 US presidential election, and Moscow rejoining the G8, he said. 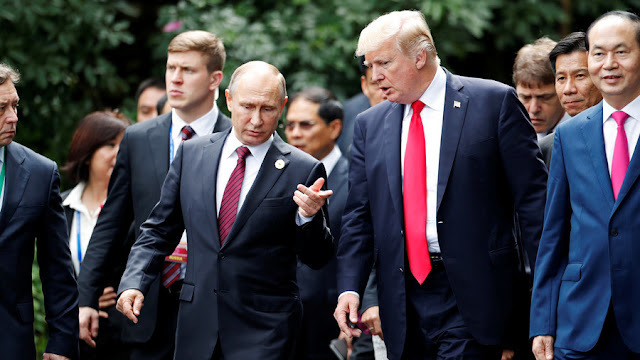 Donald Trump will hold talks with Vladimir Putin, despite criticism in the US, as such a meeting is in America’s national interest, the utterly diplomatic US National Security Adviser John Bolton told reporters in Moscow. Bolton, who arrived in Russia to prepare the summit and met with President Vladimir Putin on Wednesday, said that both the US and Russian presidents shared a belief that their face-to-face meeting will improve relations between the two nations. “Despite the political noise in the US,” direct communications between Trump and Putin are in the “best interest of our country,” he said, during a press-conference in the Russian capital. The adviser has decried claims of Russian meddling in the US election in 2016 and accusations that Trump made it to the White House with Putin’s help, calling them “complete nonsense.” The summit between the US and Russian leaders has been anticipated for months, but Bolton said he didn’t think there was “anything unusual” about it as many European leaders have recently held talks with Putin. “A full range of issues” will be discussed by Trump and Putin when they finally get together, including arms control agreements, alleged Russian meddling and Moscow rejoining the G8, he said. 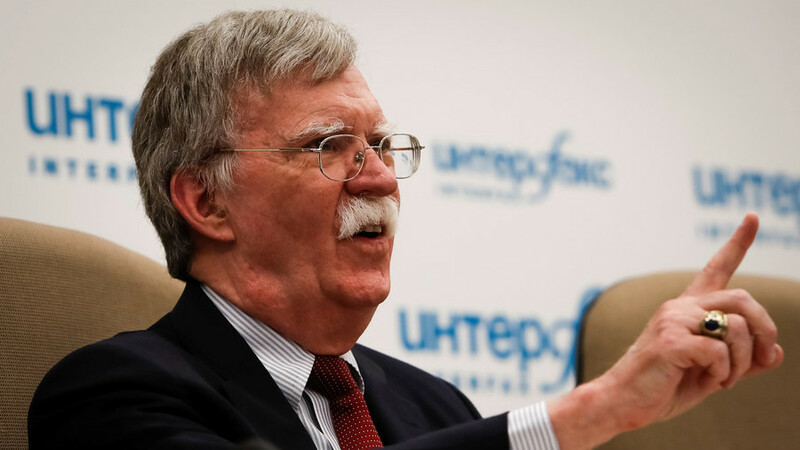 Bolton, who is well-known for his hawkishness, has been pointedly diplomatic at the press-conference in Moscow and artfully avoided any provocative questions. When asked about his earlier Russia-bashing articles, he thanked the journalist for conducting research into his work but said that he doesn’t comment on what he had written in the past. According to Bolton, he’s now employed as an adviser to Donald Trump and is fully focused on promoting the president’s agenda. Earlier on Wednesday, the Russian president’s adviser, Yury Ushakov, said that the date and time of the Trump-Putin summit has been agreed and promised that the details will be an announced on Thursday. Later in the day, Trump suggested that the meeting will be held in Helsinki, Finland. In mid-June, diplomats from Moscow and Washington intensified efforts to arrange a summit, after the US leader expressed hope that a meeting with Putin could take place soon.